Windows 10 gaming laptops are a match for most desktops when it comes to playing the latest games. 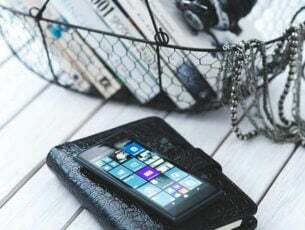 However, a lot of the latest games (especially 3D titles) aren’t going to run on more outdated laptops upgraded from an earlier platform to Win 10. 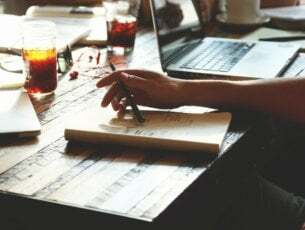 That doesn’t necessarily mean you can’t still have lots of gaming fun on an antiquated laptop, but your choice of games will be more limited to titles with lower system requirements. Nevertheless, there are still plenty of great games you can run on low spec laptops. These are a few of the best games for outmoded Windows 10 laptops. After the Half-Life series, Team Fortress 2 is perhaps Valve’s best game for Windows. This multiplayer blaster first launched in 2007, and it remains one of the most widely played Steam games. Team Fortress 2 requires just 512 MB RAM and a 1.7 Ghz CPU, so it will run on most Windows 10 laptops. Furthermore, this game is freely available; and you can add it to Windows 10 from this Steam page. The game is also included in Valve’s Orange Box bundle. 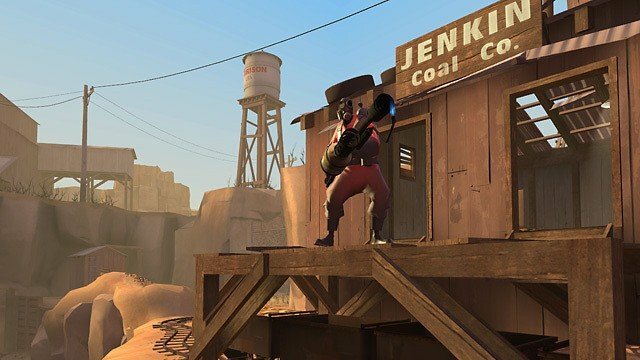 Team Fortress 2’s huge fan base might be partly due its humorous gameplay and art design. 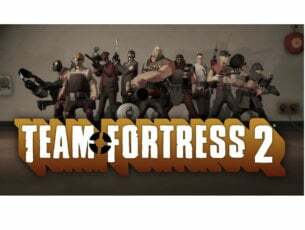 With more than 10 game modes Team Fortress 2 provides great variation. Players can select to play Capture the Flag, King of the Hill, Control Points, Payload Race and Mann vs Machine game modes among others. Another great thing about Team Fortress 2 is that it still getting regular updates with new content added that keeps the game fresh. Half-Life 2 isn’t just one of the best Windows first-person shooters ever, it’s one of the best games ever. The sequel to the original Half-Life scooped 39 Game of the Year awards in 2004. So this is surely one of the best games you can play on any lower specification Windows 10 laptop. The minimum system requirements for Half-Life 2 amount to 512 MB RAM, 1.7 Ghz CPU and DirectX 8.1 graphics card. Half-Life 2 is currently retailing at $9.99 on Steam. With a Metacritic score of 96, Half-Life 2 is one of the most highly rated Windows games. The game stars the scientist Gordon Freeman who rallies the resistance against the alien Combine on Earth. 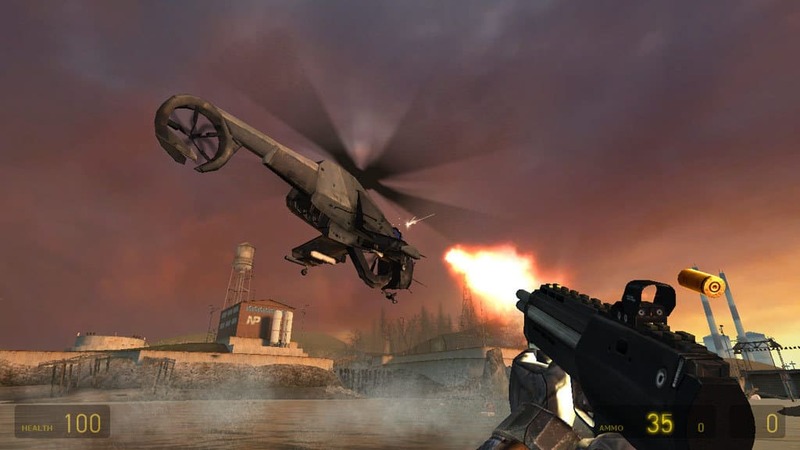 Half-Life 2 retained all the suspense and intense gameplay of the original, and its Source engine added whole new realism to the game. Half-Life 2 is renowned for its realistic physics with gravitational forces that send objects flying. The Gravity Gun, with which players can toss objects at aliens, adds a whole new dimension to its gameplay. This was a revolutionary game when it launched, and even today few first-person shooters can match Half-Life 2’s storytelling and controls. The original IL-2 Sturmovik has remained the most highly rated combat flight simulator for Windows for more than a decade. IL-2 Sturmovik: 1946 is a compilation pack that brings together titles from the original series and includes additional content expansions of its own. The game’s Steam page only includes Windows XP and 2000 within its OS system requirements, but IL-2 Sturmovik: 1946 does run on Windows 10. The game is available at $9.99 on Steam. The original IL-2 Sturmovik is a World War 2 flight simulator based in Eastern Europe’s air war. 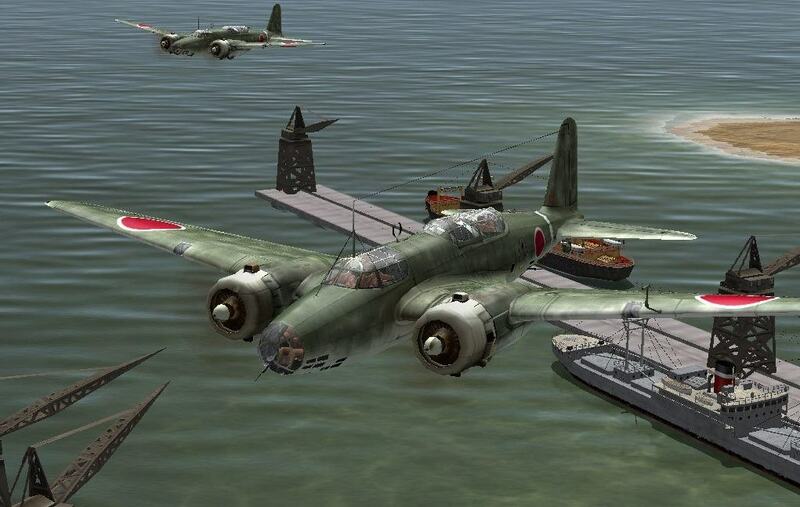 However, you can also play the Pacific Fighters expansion in IL-2 Sturmovik: 1946, which includes U.S. and Japanese aircraft in the Pacific Theater. As the game also packs in the Ace Expansion Pack, Forgotten Battles and additional alternative history campaigns, you can play in almost 200 missions. Overall, the compilation package includes five games in one. Players can select to fly 229 vintage WW2 aircraft, which is a number few other flight simulators can match. 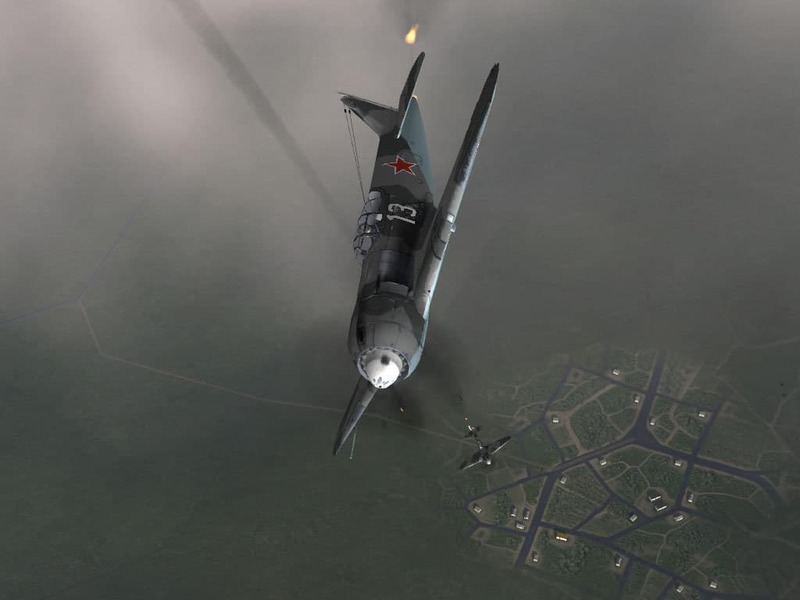 IL-2 Sturmovik is renowned for its realism and physics, and each plane has its own unique feel. Players can play in expansive multiplayer battles or single player missions that have varied objectives. So this is little more than just a dogfighting simulator in which you blow everything out of the sky. Although the game’s graphics might be tad dated now, it’s the gameplay that really counts. Age of Empires is a classic RTS (Real Time Strategy) game for Windows that Microsoft Studios has now revived in 2018 with Age of Empires: Definitive Edition. So a great game is back with a bang with remastered visuals. As this is still a 2D game, you don’t need a laptop with a top-notch 3D GPU for it. A Windows 10 laptop with a 1.8 Ghz i5 CPU, Four GB RAM, DirectX 11 and one GB video card RAM win run this game. 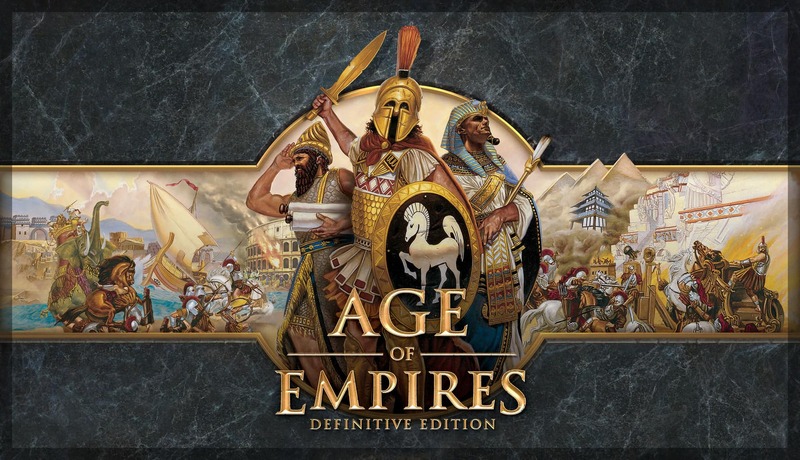 Age of Empires Definitive Edition is retailing at $19.99 on the MS Store. Age of Empire’s players can select 16 civilizations to battle it out with in the game’s 10 single player campaigns and multiplayer mode. The revamped Age of Empires: Definitive Edition has 4K HD visuals and remastered soundtrack. There are a few gameplay refinements in Age of Empires Definitive, such as its new Attack Move, unit queuing and rally points. The game also includes a Campaign editor tool with which you can make your own scenarios maps. 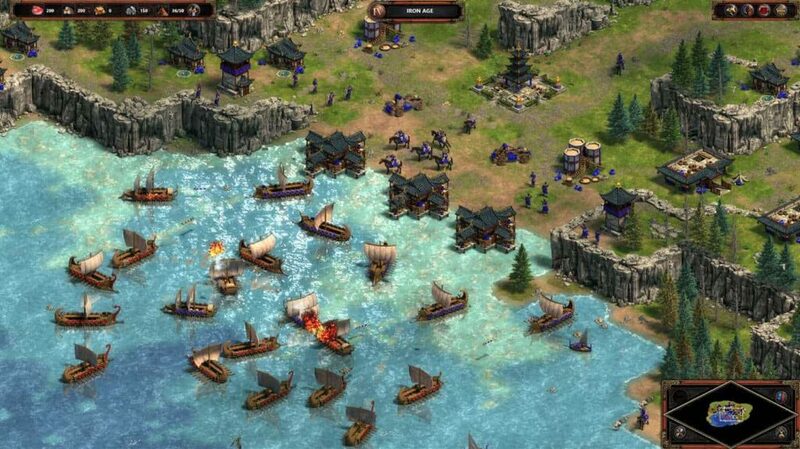 So Age of Empires fans will love the remastered AoE Definitive. Civilization titles are the best turn-based strategy games for Windows, and they don’t have hefty system requirements. However, if you really can’t run the latest Civ 6 on your Windows 10 laptop, check out Civilization V instead. You can play this game on a Windows 10/8/7/Vista laptop with two GB RAM, 1.8 Ghz Intel Core 2 CPU and 256 MB nVidia 7900 GS GPU. The game is also compatible with Mac OS X and Linux Ubuntu platforms. Civ 5 is currently available at $29.99 on Steam. In Civilization V, as in the rest of the series, players build their civilizations up through the ages to reach an eventual victory condition. 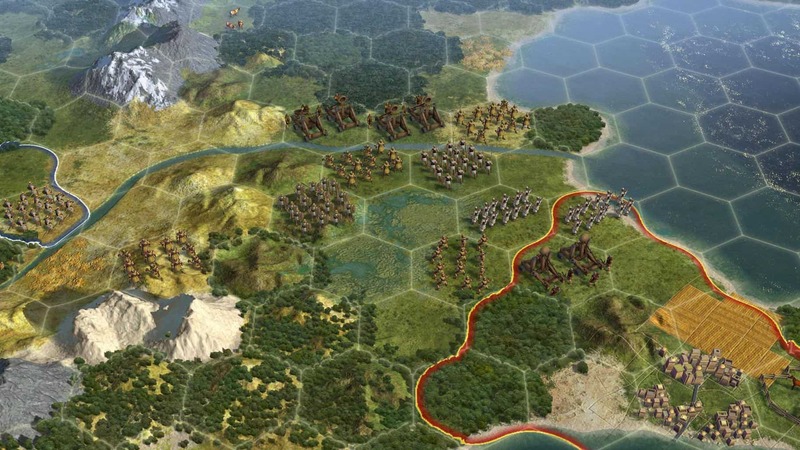 Civilization 5 introduced new city states and hex grid and included overhauled combat and cultural systems that gives the game more strategic depth than its predecessors. In Civ 5, where you position your army’s units is almost as important as their military tech. With a stunningly detailed game map, Civ 5’s graphical quality is also among the best in the series. StarCraft, a 2D sci-fi game that revolutionized the RTS genre, is celebrating its 20th anniversary in March and April 2018. Blizzard launched StarCraft: Remastered for Windows 10 in 2017 to celebrate the anniversary. StarCraft: Remastered has breathed new life into a cult classic with slick new visuals. The game only needs two GB RAM, an Intel Pentium D CPU and 256 MB Nvidia 6800 GPU to run on Windows 10/8/7 laptops. The new StarCraft: Remastered is retailing at $15 on Blizzard’s site, and the original game is freely distributed at this page. StarCraft: Remastered is pretty much the same game as the original title in which players battle it out with the Protoss, Terrans and Zerg factions in the Koprulu Sector. However, it also includes the Brood War expansion that expands its content. The remastered StarCraft retains exactly the same gripping campaigns and gameplay, but the new game has much more detailed and smoother visuals. Now you can play StarCraft in 4K on widescreen VDUs (Visual Display Units). Blizzard has also added stylized briefings and enhanced narrative to the game and rejuvenated its soundtrack. As such, with StarCraft: Remastered you can rediscover a classic game with a new coat of paint. So who needs an Acer Predator, Alienware 17 or ROG Strix laptop for Windows 10 gaming? StarCraft: Remastered, Half-Life 2, Civilization V, Age of Empires: Definitive Edition, Team Fortress 2, and IL-2 Sturmovik: 1946 are just a few of the great games you can play on lower specification Windows 10 laptops. You can also play loads of classic retro games on Windows with console emulator software.